Pakistani troops on Friday lobbed mortars and opened fire along the Line of Control in Jammu and Kashmir’s Rajouri and Poonch districts, leaving two people injured. “At about 1440 hours, Pakistani Army initiated unprovoked ceasefire violation by shelling with mortars and firing of small arms along the LoC in Nowshera sector in Rajouri district,” the defence PRO said. The Army is retaliating effectively, he said. 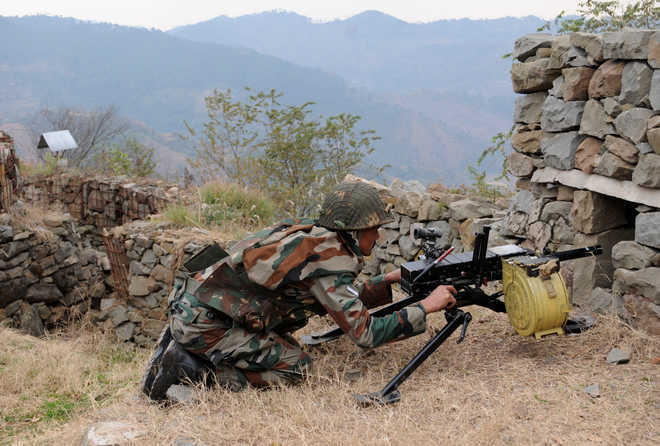 On Thursday, Pakistani Army lobbed mortars and opened fire with small arms along the LoC in Degwar and Gulpur sectors of Poonch district, in which one person suffered injury, they said. The Army on Thursday destroyed seven Pakistani military posts across the Line of Control in retaliation to the continued ceasefire violations by them.